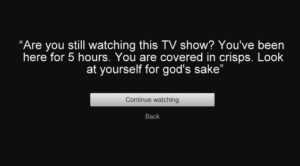 Most of us are guilty of spending an arguably unhealthy amount of time on Netflix. Episode after episode, season after season, it just becomes so difficult to stop. Plus, there’s nothing better on a rainy day than curling up with your pet in bed and streaming for hours on end. 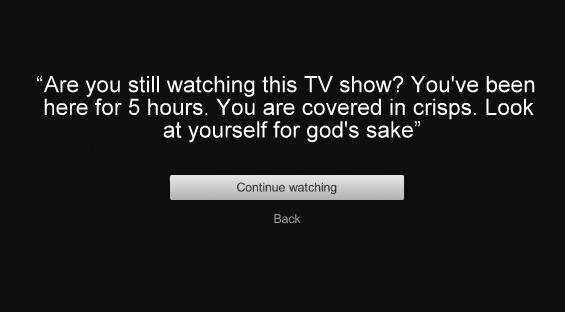 Anyone else out there who’s in a serious relationship with Netflix can relate to all of these hilarious jokes. Stream on, friends. Life is like Netflix: if you completely eliminate your standards, there's more to enjoy. When Netflix asks you if you're still watching & it's kind of like "wow I thought this was a safe space"
N: You like what you see? N: Do you want me? Netflix: we are the top online streaming service. Best in the world. Me: can I rewind 10 seconds without ruining everything? Netflix suggested I'd also like staring blankly at restaurant menus, endlessly scrolling the channel guide & flipping through paint samples. netflix: are you still there? I'm so lost when I finish a Netflix series. It's really the perfect metaphor for my life: done with one thing, but no clue what to do next.